Sidratul Muntaha | some interesting things ..
will be on 21st Ramadan. will be on 23rd Ramadan. will be on 25th Ramadan. of Power will be 27th Ramadan. night of Power will be on 29th Ramadan. A formula from Ibn Arabi qs .. I was recently given this blessed salawat / durood by ??????? for this blessed month. One should recite it 100, 300, 500, 1000 times or more inshAllah. This can be done anytime during the day or specifically after Isha salah facing the qibla either picturing the Prophet Mohamed sallallahu alayhi wa sallam holy face or his Rawdha Mubarek or the Blessed Green Dome. This salawat will open 70 doors of mercy to you as well as forgiveness, fulfillment of hajah in deen, dunya and akhira, and dreaming the Holy Prophet Mohamed sallallahu alayhi wa sallam. I have arranged these 40 salawat for the ummah to derive benefit of attracting the noble gaze of the Prophet Mohamed sallallahu alayhi wa salam. This has been tried and tested for numerous different intentions. Recently, I made dua to Allah swt and asked if these salawats have any value to you and your Prophet sallallahu alayhi wa salam to grant me a good dream. 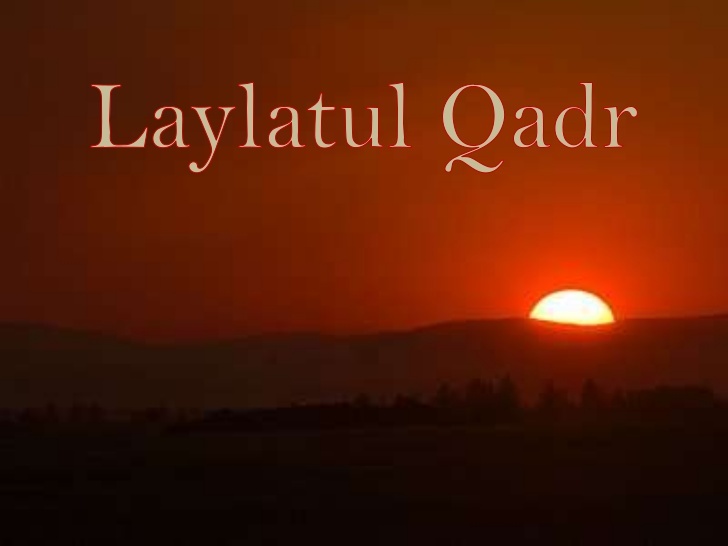 Right after the dua, I drifted to sleep and dreamt Sayidah Aisha Siddiqah radi Allahu anha in my house sitting with my wife – instructing her on a lesson. What better glad tidings then to dream one of the favorite wives of the Holy Prophet sallallahu alayhi wa salam. I advise everyone to read this daily after esha if not every Thursday (Jumah Night). If you do receive any good dreams or any other blessing feel free to contact me at Sidratulmuntaha786@gmail.com. The salawats should be recited 3 times each including the long ones for maximum benefit inshAllah. A general dua for yourself and needs etc should be made after the recitation of the salawat. A heedless person is like a corpse, whereas truly alive is the one who is constantly engaged in remembering Allah . Through the abundant remembrance of Allah the heedless heart of a person is transformed into a living one. Hence, this light of nisbah (spiritual connection) is such a blessing that it gives life to the heart that was once dead and devoid of the remembrance of Allah . Very Interesting account from Shaykh Nazim Al Haqqani ..
Allah (jwa) says astaizzu Billah“Wa Ma Khalaqtu Al-Jinna Wa Al-’Insa Illa Liya`buduni“(51:56) I don’t need from them provision or anything, except that they serve Me. I am a weak servant & my Arabic is weak as if I am illiterate, but in the middle of the night some inspirations came to my heart concerning him… He is pointing to me with his head like this. They dressed him with Divine Light, not like any other King was dressed. Allah (swt) blessed him that he may be prayed on in the Haram of Makka and that he may be buried in Makka Al Mukarrama. I happen to be reading some books and came across the Great Shaykh Hazrat Fazlur Rehman Ganj Muradbadi qs. I remember in my early days reading about how he ran away in the battle against the British because Khidr as was on their side. Later I found out about all the takwini manners and understood the reasons etc. None the less what amazed me is that the deobandis and barelwi both hold him in high esteem. So I started my research. Another amazing thing is that he studied hadith with Shah Abdul Aziz Dehlawi qs. He was also gifted to study hadith in the night time with Shah Abdul Aziz Dehlawi qs who would take it directly from the Ruh of the Prophet Mohamed sala allahu alayhi wa salam. Not many have had this karamat of taking hadith directly from the Prophet Mohamed sala allahu alayhi wa salam. A few come to mind who took the ijaza of the different quranic recitations were Shaykh Zawawi qs and Shaykh Ahmad Tijani qs. I am sure by now most people reading will start to question how??? Those who travel the path and start the purification of the heart get openings where they can interact with the souls of anbiya and awliya once alam awrah is open to them. For those in the Naqshbandi Mujjaddi way this is sabaq 2 latifah ruh. Once this is activated ones kashf/vision open if you get tawajuh from a kamil murshid. This is all candy for the murids to keep them going forward in tariqa. If you get lost sightseeing the shaykh is urged to close down the vision and raise you higher as the goal is to get closer to Allah swt not to get visions etc. None the less each lesson has its signs which should be observed in the mureed. Now back to the shaykh. Here is some info I found about him with some of the elders. Twice I was blessed with the opportunity to present myself in the service of Hazrat Maulana Shah Fazlur Rahman saheb Ganj muradabadi (rah)… I cannot confidently recall the month and year but im quite sure that my first visit was in 1301 Hijri and the month was probably the month of Rabius Thani or Jamadul ula. since I can only remember this visit to be after the period of my service at Kanpur..and it was my last journey during my association at Kanpur which was approaching the period of Meelad.. and people generally used to inquire about the masail of meelad.. being a fresh Mudarris I had arrived in Kanpur.. and after two months, owing to certain issues, I had resigned and made up my mind to return to Thanabhavan.. There was talib e ilm named Mehdi Hassan who used to study the Qur’an.. taking him along I began my journey towards Moradabad..
Exhausted… We reached at last.. Isha salaah was already over.. and Maulana had retired to his room from the Masjid.. a message was sent through the khadim.. Hazrat asked for us and leaving my companion with the luggage I set forth alone with the khadim.. Standing before him I said my salaams.. answering me, he began to speak in his unique accent quite rapidly.. and in one go asked three questions.. Who are you..? Where have you come from..? Why have you come..? Hazrat Maulana possessed a natural accent that was simple.. he bore a very down to earth temperament.. neither was he accustomed to artificial formalities.. Had a clear nature.. While conversing his tone would speed… especially with those who visited him with etiqad… the way I visited… and people would of course visit him with etiqad.. So Maulana asked quickly in his unique accent… who are you..? where have you come from..? why have you come..?.. Respectfully, I answered his questions as.. I’am a Talib e Ilm.. I have come from Kanpur… I have come for ziarat.. Listening to this he became even more rapid in speech.. Bade aaye ziarat wale.. are ye koee waqt hai ziarat ka.. aise waqt kisi ki ziarat ko aaya karte hain.. aadmi ko chahiye ke zara sawere aaye.. doosra kuch roti waghera ka intezaam kar sake.. abh batlao tumhare liye khana kahan se laun.. tumhe khuda ka khauf nahin aaya… tum ko zameen na nigal gayee..
As if. .. Is this the time to visit.. does anyone visit at this hour.. a person should come early in the morning so that one can make due arrangements for food.. now tell me where from can I get you dinner.. weren’t you not afraid of god.. did the earth not swallow you..
Iam very much thankful to Allah that after glancing at my heart I did not find any feeling of hurt or complain. Even if he had said anything more I wouldn’t have felt bad. But I felt it disrespectful to utter anything now.. this was a rebuke.. what could I answer.. so I stood silent.. after sometime he said … do you have any money.. I replied yes.. said ok you may leave now.. buy something from the market to eat.. and meet me in the morning.. I said very well.. after saying this he told the khadim to lodge me in a particular house. ” So we accompanied him and he showed us the place.. it looked like an ordinary dwelling.. Quite unsafe.. like a rest house.. anyway I reached there with the transport along with my companion and began to unload our belongings.. it was our intention that we get some eatables from bazaar then take leave in the morning as advised..
Just then a khadim arrived saying that Maulana wants to see me.. I said to myself he must have remembered something more.. anyway.. I have come here to listen it all.. so i went along and stood before Maulana.. He ordered me to sit down.. the accent was still the same.. but this time there was love and affection.. since we shall know later.. his accent was such.. owing to his very simple nature.. hearing this I sat near the Takht ( wooden seat like a diwan) on the coired mattress..
Said. .come here sit on the takht.. so I sat there as told.. then he asked the khadim to get me food from his daughters place.. and the khadim immediately returned with food.. In a vessel there was some gravy.. probably arhar daal (split red gram curry) atop which were kept some rotis..(Indian bread).. When the khadim placed the food before me, Maulana looked on.. even though the lamp was dim and I was sitting at a distance.. his eyesight was quite good even at this age.. looking at the food he said to the khadim.. ill-mannered fellow..! is this how you serve food to guests.. you could have brought the roti in another plate.. and gravy in a separate vessel.. how could you bring the roti on top of a vessel..? Khadim replied that he searched but could not find the plate.. said now you lie !..is it not placed on that particular rack..? this he may have said by kashf..
Maulana was known for his kashf.. hearing this khadim hurried and fetched the plate..
orelse I had to eat all those rotis holding in my hand.. when I began to eat he asked me what is the food..? I said hazrat its arhar daal and roti.. he replied Subhan Allah this is a great blessing..! You are learned man.. And you studied under Maulvi Muhammed Yaqoob.. Maulana had kashf.. said he was a very good man.. this was the heaviest praise Maulana could offer.. since Maulana abstained from exaggeration in praise..
Saying that he was a very good person was itself a heavy praise…this also proved the relation between Maulana and Hazrat Maulana Muhammed Yaqoob sahab..
Said You are a learned man.. you know how the condition of sahabah radhi Allahu anhum was.. simply eating a dried date they would go for jihad and fight the whole day.. when he began to mention about the sahaba radhi Allahu anhum he got excited and stood up.. it was his habit to become excited whenever the mention of akabireen came upon..
Then he asked me if I would eat berries.. I replied it was hazrat’s tabarruk.. said leave aside tabarruk and all that .. tell me if your stomach gets upset on eating berries.. I said no.. then he reached for a vessel that contained some large berries and he offered me to eat,.. then he said jokingly You could have said to urself that I ate it all and did not bother about the guest.. Anyway Maulana turned towards him and asked… When will you leave? He said after praying Jum’a… Asked what shall happen if you pray Jum’a here..? He said where else could I pray Jum’a. . he seemed to be an old acquaintance.. who visited him often..
Hume kya khabar kahaan padhoge..? hum koee thekedaar hain tumhare Jum’a ke.. logon ko sharm nahin aati munh par dadhee laga kar paraye tukdon par padhte hain..
How do I know where you shall pray? Am I responsible for your Jum’a,, people are not ashamed even after keeping a beard they want to eat at others expense.. he too seemed to be very informal.. said he is not leaving anyhow.. hearing this Maulana took him by the arm forcefully and said just get out of here.. so he left..
Not sure if he left the town or not.. I wondered if I was next in line, so I took his permission to leave.. said very well.. I began to walk and Maulana too came along.. I wondered he might be incidentally walking in the same direction due to some need…neither did I think nor felt myself worthy that he would give me company… but later it was known that he did come to see me off.. So whenever a guest house would pass by he asked me do you stay here…? Finally we reached the guesthouse.. I stopped there and Maulana too stood back.. told me to get a transport and mount the luggage.. I stretched my hands for the farewell Musafah and requested Maulana to make dua for me.. he said I have already made dua for you..
Then I requested him to give me something to recite.. said read Qulhu Allahu and subhan Allahi wa bi hamdihi..200 times each.. I had learnt that he prescribed this even to the students since there was great virtue in its recitation as mentioned in hadees shareef..
Once a great scholar known as Ahmed Raza (Ala Hazrat) (rahmatullah alaih) came to meet Maulna Fazl-e-Rehman Gunjmuradabadi (rahmatullah alaih). When He reached at the khutiya (Hut) of Maulna Fazl-e-Rehman Gunjmuradabadi (rahmatullah alaih) he asked the khadim of Maulna Fazl-e-Rehman Gunjmuradabadi (rahmatullah alaih) that he wanted to meet Maulna Fazl-e-Rehman Gunjmuradabadi(rahmatullah alaih). On which the khadim went to Maulna Fazl-e-Rehman Gunjmuradabadi (rahmatullah alaih) and told him that ahmed raza (rahmatullah alaih) wants to meet. On hearing this Maulna Fazl-e-Rehman Gunjmuradabadi (rahmatullah alaih) said what he want from a fakir there are so many scholars in his khandan(Family). I dont have any thing to give him, after hearing this the khadim told Ahmed raza (rahmatullah alaih) what Hazrat Maulna Fazl-e-Rehman Gunjmuradabadi (rahmatullah alaih) has told but Ahmed raza (rahmatullah alaih) requested once again to meet him on hearing this Hazrat Maulna Fazl-e-Rehman Gunjmuradabadi (rahmatullah alaih) called him, Ala Hazrat (rahmatullah alaih) asked Hazrat Maulna Fazl-e-Rehman Gunjmuradabadi (rahmatullah alaih) what does he think of Milad Sharif instead of replying to the quetion Hazrat Maulna Fazl-e-Rehman Gunjmuradabadi(rahmatullah alaih) asked him what do you think of “Milaad Sharif ” on which Ahmed raza (rahmatullah alaih) replied for me it is mustahab on hearing the answer Hazrat Maulna Fazl-e-Rehma Gunjmuradabadi(rahmatullah alaih) said for me it is sunnat, and said that the Sahaba-e-Karam(Radi Allahu anhu) who use to take part in jihad use to praise our Holy Prophet(Salla Allahu ta’ala ‘alayhi wa Sallam) among their people and use to tell all people that how Allah has blessed his Holy Prophet(Salla Allahu ta’ala ‘alayhi wa Sallam) and many other things this is what we do in Milad Sharif the only difference is that the Sahaba-e-Karam(Radi Allahu anhu) use to distribute their head while u people distribute Laddu(sweet) and after this Ala Hazrat(rahmatullah alaih) asked him for any guindance tips on which Hazrat Maulna Fazl-e-Rehman Gunjmuradabadi(rahmatullah alaih) replied dont do takfir in a hurry, Ala Hazrat(rahmatullah alaih) on hearing this started thinking that i called only those people kafir who disobeys our Holy Prophet(sal-lal-laho-tala-alihi-wasalm) Hazrat Maulna Fazl-e-Rehman Gunjmuradabadi (rahmatullah alaih) came to know what Ahmed Raza(rahmatullah alaih) was thinking by KASHF and replied yes yes undoubetly if any one disobeys the Holy Prophet(sal-lal-laho-tala-alihi-wasalm) even in a slightest manner is undoubtely Kafir. Then Hazrat Maulna Fazl-e-Rehman Gunjmuradabadi (rahmatullah alaih) removed his cap(Topi) and placed his cap on the head of ahmed raza (rahmatullah alaih) and said that like the cap is shining on your head ahmed raza (rahmatullah alaih) one day you will shine in the whole universe and as you people can see how the fame of ahmed raza (rahmatullah alaih) is today all over the world because of the dua of Sarkare Fazle Rehman Gunjmuradabadi (rahmatullah alaih). The Topi Mubarak(Cap) is still present at the dargah sharif of Ala Hazrat(rahmatullah alaih) which is in bareily Sharif and is nicely kept with the Taburukat of Ala Hazrat(rahmatullah alaih) and are shown to the people on friday and on some occasion. You can have a look at the topi mubarak in the photo gallery or at the link below. I have conducted research and found out this is a salawat/durood is related to Hazrat Uways Al Qarni. This salawat/durood should be recited 100, 313, 500, 1100 times daily. Those who want to get access to the court of Rasulullah sala allahu alayhi wa salam should recite this daily 1100 without fail after isha salah in wudu facing the qibla. 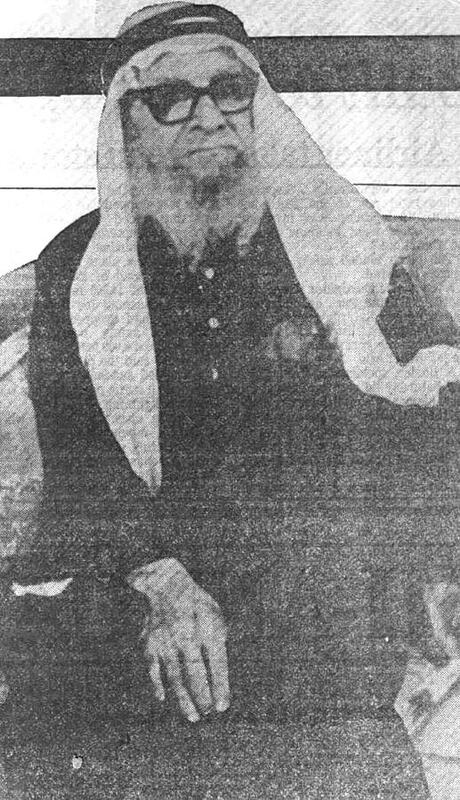 Shaykh Abdul Mabood and King Abdul Aziz Al Saud .. The king ordered the clothe to be removed from the Shaykh’s head and for him to be set free. The king approached Shaykh Abdul Mabood and humbly requested his forgiveness. . As a personal show of gratitude to the Shaykh, the King decreed that from that day forward, Shaykh Abdul Mabood would be the guest of the kingdom on the pilgrimage to Hajj. The kingdom of Saudi Arabia would cover all of his travel expenses and costs to stay in Mecca and Medina. The Shaykh was given an official plaque with this decree. It was this plaque, I asked about on the wall. A friend recently informed me that Habib Ali Al jifri of the Ba Alawi tariqa recently took bayah with Shaykh Nazim Al haqqani in the last 10 days of ramadan. I was first stunned by this as I was actually thinking to take the ba alawi tariqa originally. Another amazing thing is many know that its common for the habaib to take baya of baraka. In this case this is after the death of the Qutb of the Ba alawi tariqa Habib Abdul Qadir Al Saqqaf and the second in command Habib Ali Al Aydarus who was more on the hidden side. Both awliyah passed in the last couple months one 40 days after the other. Could this be bayah of suluk ? as it was also in ramadan and the last 10 days! My close friend informed me he renewed his baya on the first day and today on Juma he did it after the sohba. Here is some pictures that were forwarded to me.